The chief digital officer (CDO) job title failed to load and initialise correctly at first. But in 2016 the role has some digital and tangible strengths that organisations need to take note of. I recently chaired a debate with CDOs, chief information officers (CIOs), chief product officers (CPOs), chief marketing officers (CMOs) and chief operations officers (COOs), chief technology officers (CTOs) - and perhaps there were others! A variety of vertical markets were present including manufacturing, travel and tourism, automotive, media, financial services, fast moving consumer goods, government, retail and professional services. No matter the job title or the vertical market, the challenge for these senior business leaders was aligned: changing business culture for a digital age. Changing business culture is not a technology project, despite technology being the cause of the demand for culture change. CDOs are not hybrid marketing leaders that turn down email spam and replace it with sponsored tweets. My role in the event was to chair and to paint the picture of the career of Richard Cross, CDO for engineering organisation Atkins, as Cross was unable to make the event. I have known Cross for a number of years and for the last three CIO roles he has had, at broadcaster ITV, architectural leaders Arup, and at Atkins where he was CIO before becoming CDO. What Cross has achieved as CDO at Atkins is to mimic the working methods and culture of the digital behemoths that dominate today’s online culture: the likes of Amazon, Google and Facebook. That’s a considerable challenge in an organisation with a rich history and culture in building, literally, concrete structures. The Silicon Valley digital giants have got to their lofty positions from a heady brew of innovation, other people’s money, flat hierarchies and working methods that you wouldn’t usually see in a very traditional business like Atkins. 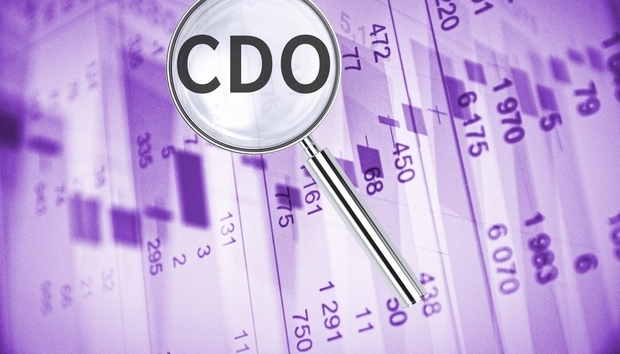 And this is why the CDO role is becoming important: CDOs are culture change agents and not IT decision makers (a worthless phrase at the best of times). There is an understanding that creativity exists at all levels and therefore so do the answers to the challenges the business faces. This is why hackathons are crucial and leading CDOs and chief technology officers (CTO) are using them. Experienced and novice passionate people co-exist in these organisations joined by a common cause, to solve problems. At Atkins I saw board meetings being held as stand-ups; story-telling exists throughout the business using all the tools of online, media, marketing, imagery and video. The pace of these businesses is incredible. Cross demonstrated to me a Business Model Canvas (look it up on YouTube) where any idea is broken up into the core constituencies of your organisation, customers, supply chain, order-to-cash etc. and worked out into a single document on a whiteboard, often within an hour. It makes Jamie Oliver’s recipes look slow. Cross and I first met when he was CIO of the then newly merged ITV, the UK’s veteran TV broadcast organisation. We discussed how many specialist machines and the mountains of tapes existed to make a VT for a show, something we both have first-hand experience of. When Cross left ITV the organisation was using digital workflows throughout its production processes. You only have to look at the recent trading history of ITV to correlate this change (amongst others) to the health of the channel today, compared to where it was. One of the most important things is that a CDO introducing a new culture does not destroy the DNA of the business, something critical to Atkins. The buildings Atkins produces for its clients are incredibly complex and to lose the loyalty and knowledge of its engineers would be devastating. The CDO can introduce healthy new antibodies into a business to help it adopt the best of digital working ways and preserve the skeleton that made the business so strong in the first place.